Jaycar CCTV systems - any good? Forums › Gadgets, robotics, home automation, electronics (including wearables) › Jaycar CCTV systems - any good? We need a basic CCTV system for a shop. It's more for discouraging petty theft and keeping an eye on the shop when we're in the store room. We're not necessarily expecting to identify anyone accurately from the system. And the shop only stocks reasonably low value items so I can't imagine anyone is going to be tracking down the little scr0tes even if we were able to identify them. We don't need any kind of motion detection, PTZ, night vision/IR, weather proofing or anything like that. 3 or 4 cameras max will be enough. So in summary pretty basic requirements. I had intended to go with a basic Dlink IP camera set up. I've played with the Dlink cameras and software before, and it's only okay but seems to do the job. But PBTech stocks Dlink stuff around the corner from us, and for this local support is more important than necessarily getting the best price. By the time you add 3-4 cameras, a DVR/NVR and storage or a dedicated PC, a POE switch, the cabling, and my time mucking around getting it all set up, you're looking at the thick end of $700 or $800 minimum even with basic cameras. Obviously the basic package is a pretty low-res set up, but at $400-ish seems to offer an awful lot of bang for buck. The higher end $1000 set up is still cheaper than a like-for-like Dlink package and (I hope) just out of the box set up. My experiences with cheap Jaycar stuff has been mixed. Some things do exactly what you need them to, while others are actually pretty flakey and you end up chucking it. Any views? Is the basic kit going to be any good, or not worth the money? Is more than doubling the price to the higher end kit going to provide double the benefit? 5. Power over ethernet, you can actually inject power into the ethernet cable so you still plug them into a wall socket and not use an expensive switch. You can buy adapters (from lightinthebox.com for example) that let you use the same power adapter from one camera to up to 9 cameras. Theyre all low voltage cameras. so around $600 (could do cheaper) for a PC setup. I do this personally at home, BlueIris software is very very good and worth the price. I can then look at the cameras on my phone, computer, wherever I am. Motion sensing is done via the software so thats why you can use cheaper cameras. The same IP cameras cost around $150 here on trademe. Not saying its the most professional full proof system, but its an option. And works well for my setup, and possible yours. From what I can tell, the bundled Dlink software is actually BlueIris. Someone more knowledgeable may be able to confirm though. only problem Ive had with the QD520 (chinese camera I linked too, and I believe is kinda common) is the firmware on it needed to be configured with an older Internet Explorer and one of my windows 8 machines just refused to work with it. another machine was able to configure it. But I only needed to configure it to remove the time watermark as BlueIris does this itself. If I were going to setup a instore system I'd go with a combination of UBNTs wired dome cams and their indoor wifi cams. It would cost you (server+storage) then about 150/cam. No cost for any software/poe switching or any of that stuff. I have not bothered with analog CCTV when installing them in my own house. IP cams on aliexpress with POE - 720P for about $30 USD a piece, so that is what I chose to get. They come with some pretty ugly but functional CMS software that will do split screen display, record etc. Or there are standalone DVR's available for under $100 which is what I ended up getting after playing with the supplied software for quite some time. I thought the jaycar stuff is way overpriced for what it is. There are some use cases where I can see analog has a benifit. But I prefered the better picture at the expense of real time display of it. One more thing, Technically to sell security cameras in NZ you need to have a license. Actually since selling or consulting on security products needs a license, as does installing it in a property that you dont _own_ then perhaps I shouldnt be saying anything? Who knows with that vaugely written piece of BS law really? I would personally go with D-Link and use wireless if 'deterrent' is what you want to achieve. It is a pretty decent setup. Used a DCS930L at last work to try to keep an eye on a machine to see when it was done. Unusable for that as it was either washed out totally or distorting colours really badly. I dont know if they even have an IR cut filter in them, but I suspect not from what we saw. Plus wifi isnt very tollerant of many devices pushing a stream back to the wired lan. 1 or 2 should be fine, but I doubt you would have much luck with more. Of the cheap 720p wifi cams I have tried it seems 3 is the max for a single 2.4GHz 20MHz wide network before it starts to lag out a lot. With IP cameras it will get somewhat behind realtime and then either glitch and catch up, or you will go into a sped up mode as the stream catches up after its lagged. If 2 people start to watch the same camera, then its sending its stream to 2 place so then I expect 2 cameras would start to show the same issues. richms: Used a DCS930L at last work to try to keep an eye on a machine to see when it was done. I don't have dcs930l but I do have a few dcs932l which has IR cut filter. As OP mentioned about using a system as a deterrent, he can reduce the quality/frame rate and 4 camera on wireless should be perfectly fine. I use this setup regularly to monitor around the house - on 4G phone, no problem streaming them. I found that using DNR202L is very reliable rather than direct to the camera. Interesting, I didn't know that. Out of curiosity I took a brief look at the Jaycar website and indeed nowhere does it appear to mention that they are 'security' cameras. They do us the word surveillance a lot. That Jaycar stuff doesn't seem like a very good deal at all. 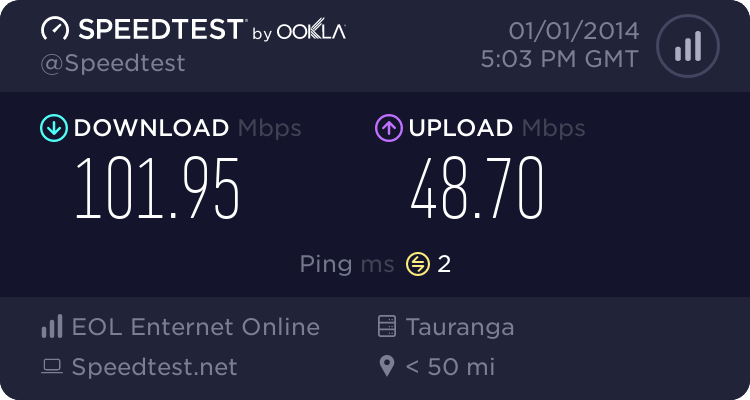 We've just replaced our 8 analog cameras in our 2 retail stores with Ubiquiti UniFi cameras being fed through a PC running UniFi Video software (one site remotely recording over a VDSL connection to a UFB connection). Works great and we're not even close to $1k. Ive got several DCS-930L cameras. They are fine for good day light but terrible in low artificial light. I have replaced with a DCS-5020L which is great even in zero light. I dont have the DVR thing but rely on motion detection which sends me a video and image to gmail.